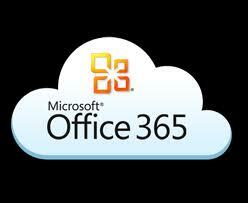 Office 365 is now available in packages offered to GoDaddy customers. The 3 subscription plans on offer are priced at $3.99, $8.99 and $12.49 monthly. An email storage cap of 5GB has been placed on the Email Essentials Package, for extra storage customers can choose the Business Essentials and Productivity Plus both of which offer 50GB storage. GoDaddy customers have the option of accessing cloud based storage through Micrsoft SkyDive Pro. Business Essentials subscription provides the customer with services for up to 5 computers and availability of Office Mobile apps to Android, iOS and Windows Mobile devices. This plan’s features include video conferencing, Office Web apps, business-class email, sync options, and SkyDive storage. Customers who are not familiar with email administration can now access Office 365 which simplifies management of email protocol and domain records.